This "how to" install Jeep Wrangler hood louvers build article was sent in by Steve Garan who hails from Las Vegas, Nevada. 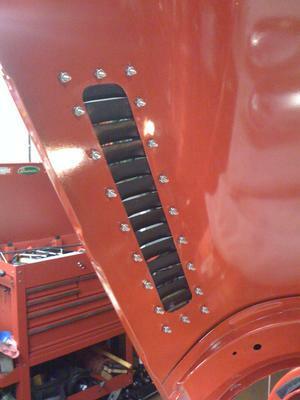 Steve has built one on the coolest rigs around, which is a 1994 Jeep Wrangler YJ. His Jeep has a lot of great features not often seen in home built vehicles...such as not one, but two sun roofs on the hardtop, custom built rocker panel protection with step, and the hood louvers to keep things running cool under the hood. 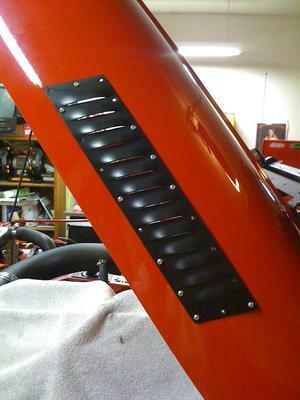 Steve had sent several photos of upgrades he's done to his very nice YJ, and I asked him to give a little more detail regarding his build, here focusing on the Wrangler hood louvers. 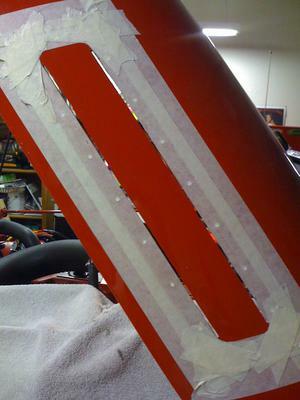 "Here's a step by step for the Hood Louvers...I placed the louver where I wanted it and marked and drilled 2 holes...mounted with 2 screws and using the actual louver as a template I drilled the rest of the holes. 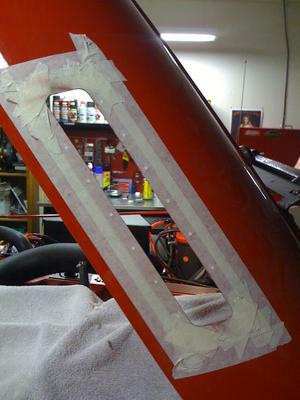 I measured the width of the louvers and laid masking tape free-handed keeping the holes evenly distanced from my intended cut." Using a Dremmel circular cut disk I started the cut and finished with a Sawsall making 2 long cuts. I finished the corners with the Dremmel and a cone shaped grind stone on a drill. 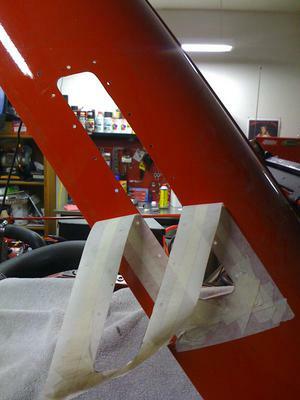 After pulling the tape away I lightly sanded the rough edges and painted the bare metal with touch-up paint and a brush. The other side (inside of hood). Taking your time gives it a nice Finished Look!!! 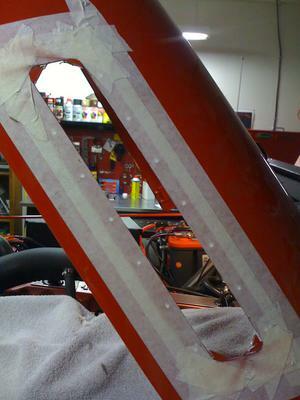 Editor's note: I would like to thank Steve for taking the time and effort to send us this well documented "how-to" hood louver step-by-step installation. To see how Steve built those unique rocker panel guards, rails, and steps check out his step-by-step photo build at Wrangler Custom Rocker Armor.